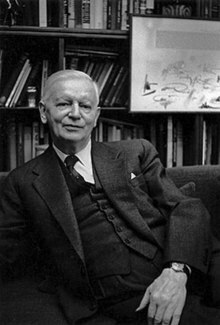 Carl Theodor Dreyer (Danish: [kɑːˀl teːodoɐ̯ ˈdʁɑjɐ]; 3 February 1889 – 20 March 1968), commonly known as Carl Th. Dreyer, was a Danish film director. He is regarded by many critics and filmmakers as one of the greatest directors in cinema. His best known films include The Passion of Joan of Arc (1928), Vampyr (1932), Day of Wrath (1943), Ordet (1955), and Gertrud (1964). Dreyer was born illegitimate in Copenhagen, Denmark. His birth mother was an unmarried Scanian maid named Josefine Bernhardine Nilsson, and he was put up for adoption by his birth father, Jens Christian Torp, a married Danish farmer living in Sweden who was his mother's employer. He spent the first two years of his life in orphanages until his adoption by a typographer named Carl Theodor Dreyer, and his wife, Inger Marie (née Olsen). He was named after his adoptive father, but in accordance with Danish practice, there is no "Senior" or "Junior" added to their names to distinguish them from each other. His adoptive parents were emotionally distant and his childhood was largely unhappy. He later recalled that his parents "constantly let me know that I should be grateful for the food I was given and that I strictly had no claim on anything, since my mother got out of paying by lying down to die." But he was a highly intelligent school student, who left home and formal education at the age of sixteen. He dissociated himself from his adoptive family, but their teachings were to influence the themes of many of his films. Dreyer was ideologically conservative. According to David Bordwell, "As a youth he belonged to the Social Liberal party, a conservative group radical only in their opposition to military expenditures...'Even when I was with Ekstrabladet,' Dreyer recalled, 'I was conservative...I don't believe in revolutions. They have, as a rule, the tedious quality of pulling development back. I believe more in evolution, in the small advances.'" Dreyer died of pneumonia in Copenhagen at age 79. The documentary Carl Th. Dreyer: My Metier contains reminiscences from those who knew him. His first attempts at film direction had limited success, and he left Denmark to work in the French film industry. While living in France he met Jean Cocteau, Jean Hugo and other members of the French artistic scene and in 1928 he made his first classic film, The Passion of Joan of Arc. Working from the transcripts of Joan's trial, he created a masterpiece of emotion that drew equally on realism and expressionism. Dreyer used private finance from Baron Nicolas de Gunzburg to make his next film as the Danish film industry was in financial ruin. Vampyr (1932) is a surreal meditation on fear. Logic gave way to mood and atmosphere in this story of a man protecting two sisters from a vampire. The movie contains many indelible images, such as the hero, played by de Gunzburg (under the screen name Julian West), dreaming of his own burial and the animal blood lust on the face of one of the sisters as she suffers under the vampire's spell. The film was shot mostly silent but with sparse, cryptic dialogue in three separate versions – English, French and German. Both films were box office failures, and Dreyer did not make another movie until 1943. Denmark was by now under Nazi occupation, and his Day of Wrath had as its theme the paranoia surrounding witch hunts in the seventeenth century in a strongly theocratic culture. With this work, Dreyer established the style that would mark his sound films: careful compositions, stark monochrome cinematography, and very long takes. In the more than a decade before his next full-length feature film, Dreyer made two documentaries. In 1955, he made Ordet (The Word) based on the play of the same name by Kaj Munk. The film combines a love story with a conflict of faith. Dreyer's last film was 1964's Gertrud. Although seen by some as a lesser film than its predecessors, it is a fitting close to Dreyer's career, as it deals with a woman who, through the tribulations of her life, never expresses regret for her choices. The great, never finished project of Dreyer's career was a film about Jesus. Though a manuscript was written (published 1968) the unstable economic conditions and Dreyer's own demands of realism together with his switching engagement let it remain a dream. 1919 The President Præsidenten Denmark Based on the novel by Karl Emil Franzos. 1920 The Parson's Widow Prästänkan Sweden Based on the story "Prestekonen" by Kristofer Janson. 1921 Leaves from Satan's Book Blade af Satans bog Denmark Loosely based on The Sorrows of Satan. 1922 Love One Another Die Gezeichneten Germany Based on the novel by Aage Madelung, this film is extremely rare (only 4 prints survive in archives). 1922 Once Upon a Time Der var engang Denmark Based on the play by Holger Drachmann. 1924 Michael Mikaël Germany Based on the novel Mikaël (1904) by Herman Bang. 1925 Master of the House (aka Thou Shalt Honor Thy Wife) Du skal ære din hustru Denmark Based on the play by Svend Rindom. 1926 The Bride of Glomdal Glomdalsbruden Norway Based on the novel by Jacob Breda Bull. 1928 The Passion of Joan of Arc La Passion de Jeanne d'Arc (Jeanne d'Arc lidelse og død) France Co-written with Joseph Delteil, author of the novel Jeanne d'Arc (1925, Prix Femina). Named the most influential film of all time by the curators of the 2010 Toronto International Film Festival. 1932 Vampyr Vampyr – Der Traum des Allan Grey France/Germany Based on the novella Carmilla (1872) by J. Sheridan Le Fanu. 1943 Day of Wrath Vredens Dag Denmark Based on the play Anne Pedersdotter by Hans Wiers-Jenssen; hymns by Paul La Cour. 1945 Two People Två människor Sweden Based on the play "Attentat" by W.O. Somin. Made in Nazi-related exile in Sweden, the film was disowned by Dreyer and withdrawn from distribution. 1955 The Word Ordet Denmark Based on the play by Kaj Munk. 1964 Gertrud Gertrud Denmark Based on the play by Hjalmar Söderberg. ^ "The 1,000 Greatest Films (Top 250 Directors)". They Shoot Pictures, Don't They. Retrieved 1 December 2016. ^ "kamera.co.uk - feature item - Carl Dreyer - Antonio Pasolini". www.kamera.co.uk. Retrieved 22 February 2017. ^ "Carl Theodor Dreyer | Biography, Movie Highlights and Photos | AllMovie". AllMovie. Retrieved 22 February 2017. ^ Bordwell, David (1983). The Films of Carl Theodor Dreyer. University of California Press. p. 191. ^ "Dreyer film voted most influential". Copenhagen Post. 22 September 2010. Retrieved 26 September 2010. Wikimedia Commons has media related to Carl Theodor Dreyer.